Still no hens! My broody and eggs are coming from a local school, and apparently there’s been some rather over-enthusiastic egg collecting, so they’ll have to start from scratch. Well, I suppose it’ll give my plants time to get established before the arrival of beaks and claws. It has been very dry here, but at last with a bit of rain, plants are beginning to grow, and grow. One gets lulled into a false sense of security and misses pests (that cardoon is annually turned skeletal by slugs), weeds can take over – especially from my compost mulch which starts to germinate, and plants will flop unless staked. I try and spend late afternoons in the garden. A busy month outside the garden gate: with Chelsea, a friend’s wedding, lots of garden visits, and a new book to start. (Have joined forces with photographer Bill Mason to work for a publisher – the rest is a secret, but you’ll be the first to know). 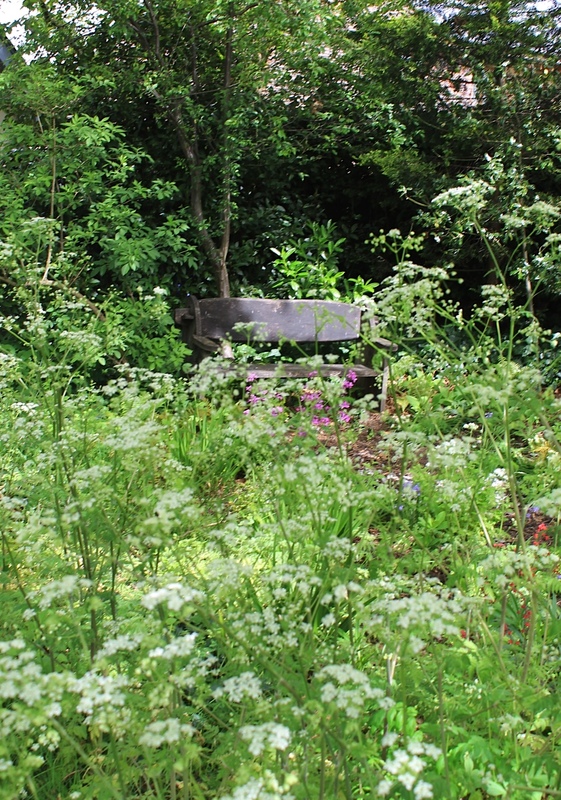 In the meantime, have had jolly days out at Etchingham Station, the Walled Nursery at Hawkhurst, Borough Market in Bankside, and the private gardens in Canterbury Cathedral Close – all with fascinating garden stories – some of which can be read in the articles’ section. There’s nothing better than a day out visiting a garden: a lot to learn and marvel at, a little light shopping perhaps, and maybe lunch or at least a piece of cake. Sometimes you can also donate to a worthy cause as well. Why not a trip to Benenden in Kent to our Kent Hen Party to see and buy hens, hatching eggs and plants? The joys of gardening a clay soil, and I really shouldn’t be even standing on it, so have been wobbling on planks and duckboards as I tidy, plant and try and improve the soil. Have added Gro-char Soil Improver, grit and horse manure. There’s a school of thought that chunky manure is the answer, and of course I garden in raised beds where I can, but trees and shrubs need to go into the soil. Have ordered 100 plugs of Yellow Rattle (from naturescape.co.uk) to reduce the grass in the meadow and leave more space for wildflowers, and planted some white wild strawberries to confuse the squirrel who ate my entire crop last year. It’s all about problem solving. The old swing seat is getting a coat of paint and I promise I’ll re-cover the cushions, the existing ones have nearly rotted away anyway. 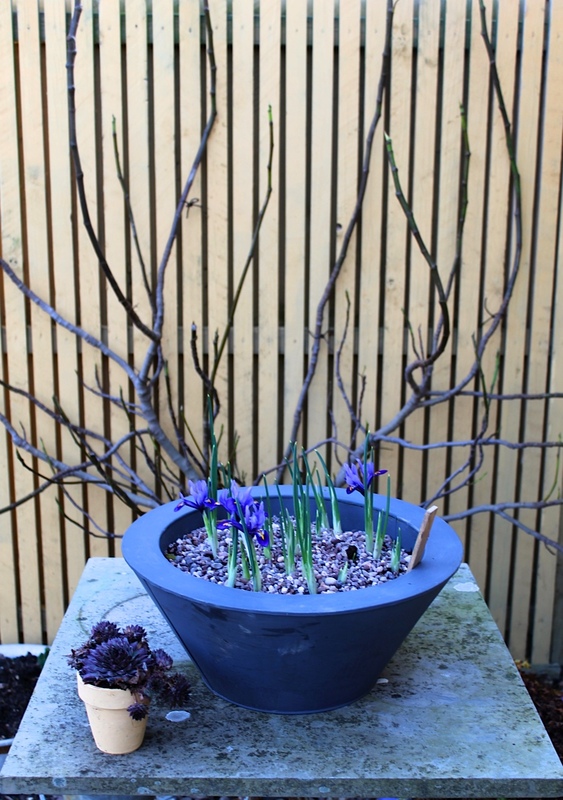 Bulbs are appearing, slightly later than usual, and it’s a relief to welcome favourites back. I sometimes get dark days when all I can see are the plants that haven’t re-appeared. Oh me of little faith. I’ll be talking to the Friends of Canterbury Cathedral on March 11th about gardening, hens and downsizing, and at the Country Living Spring Fair on Saturday March 21st about keeping hens. It would be great to see some familiar faces.